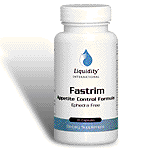 Liquidity’s Fastrim helps to stimulate the metabolic rate and assist in appetite control, naturally. 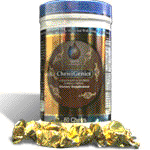 ChewiGenics™ - A delicious chocolate flavored chewi to eat when your feeling hungry between meals. The Thermogenic nutrients help to support safe weight loss by increasing energy production and the body’s ability to burn fat. While ChewiGenics tastes as good as a candy, it is not a candy and should not be treated as such. 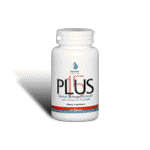 It is a dietary supplement and only one should be eaten between meals with a full glass of water to help curb the appetite and increase energy. 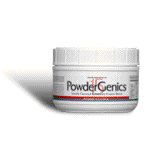 weight of 750 grams of Powdergenincs. 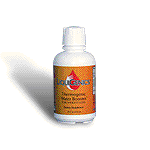 LiquiGenics™ Thermogenic Water Booster – Thermogenesis is the process that literally increases the heat in your body causing more fat to be burned as energy instead of stored excess weight. 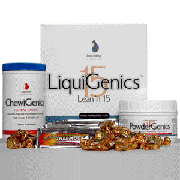 With LiquiGenics you’ve discovered one of the worlds most effective weight loss products. It’s stimulant and laxative free! Combine a packet with a 5 to 8 oz of water and drink before lunch and dinner. 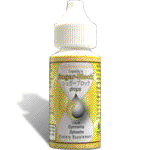 THIN 2 is an innovative, dramatic, clinically backed formula with the patented Advantra Z. The four US patents support stimulating thermogenesis, reduction of body weight, suppression of appetite, increasing the ratio of lean muscle to total body mass, and improving athletic performance. THIN 2 can aid in your overall weight loss program. For best results combine with AMP 1. 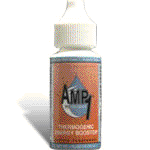 AMP 1 is a leading edge, powerful Cocoa/Almond xanthine-rich formula with CocoGen. This ingredient is designed to boost energy, thermogenesis, motivation, moods, and curb hunger pangs to aid in your weight loss success. For best results combine with THIN 2. The nutrient coenzyme Q-10 (CoQ-10) is known to increase the body's fat-burning capacity by increasing calorie burning. LQ-10 rounds out the Thermogenic process by stmulating the manufacture of energy. Enjoy maximum blocking power against the conversion of starch calories that can eventually be stored as fat. 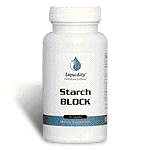 Starch Block binds at the same site enzymes use, limiting the amount of starch converted into sugar. By simply swallowing a tablet, you have less high-glycemic, fat-promoting carbohydrates in your diet!